Super healthy and low calorie side dish to complement your protein. All you do is preheat your over at 425F, cut the cabbage 1 inch thick. Cover the baking tray with a foil or parchment paper and vrush some olive on it. Mix 1/2 tbsp of olive oil with garlic powder. 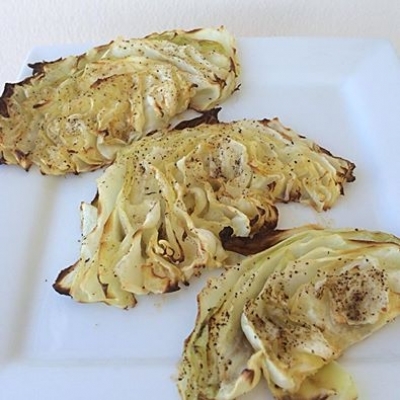 Put the cabbage on baking tray and brush garlic evoo on cabbage, sprinkle with black pepper and sea salt. Pop it in the oven for 25 min. Boom ðŸ’¥ done!!! Perfectly delish warn and cold. Very low calorie and super filling side dish.